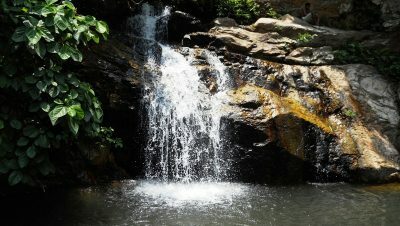 Kurudkote is the 2nd waterfall of Deogarh. It is located at an accessible reach at a distance of 2 Kms from the private Bus Stand. During the reign of Raja Satchidananda Tribhuban Deb, the waterfall was a source of hydroelectricity energy, the 1st of its kind in Odisha and 2nd in Asia. During winter the picnickers rush here and enjoy the scenic spot with chirping of birds, murmuring sound of waterfall and trekking. Natural water sources from Pradhanpat and Kukudkot is the lifeline of Deogarh town. The erstwhile King of Bamanda, Raja Sachchidananda Tribhuban Dev, during his reign, installed 2 dynamos and steam engine (imported from England) to light his palace and Deogarh town on the occasion of sacred thread ceremony of his eldest son Tikayat Dibya Sankar Dev. As massive amount of wood was required to feed the engine, King Sachchidananda out of fear of massive deforestation, planned to install a hydro electric power generation plant as same as installed at Darjeeling by Britishers in the year 1897. The hydro electric power plant at Kurudkot was built by Oscar Company of Calcutta by an European Engineer. It was started in the year 1915 and commissioned in January, 1916. It was then 2nd such plant in whole Asia. This news was published in “Sambalpur Hitaishini” Magazine (26/35 publication) on 19-05-1915. 28000 Gallons/Hour water flows from a height of 120 feet. Turbine is of 11.5 Kilo Horse Power. Dynamo is of 6.5 Kilo Watt power. The diameter of incoming water pipe is 9 Inch. Generated power was used to light 140 bulbs of 30 Candle power, 190 bulbs of 22 Candle power, 280 metalic filament bulbs of 16 candle power at 220 Volt. Kuradkot Hydro electric power Plant was operational upto 1970 and lighted Deogarh town. Afterwards 2 diesel englines were added to face the power demand. As the mega hydel project at Hirakud started to generate electricity and power was supplied to Deogarh via Rourkela, the Kuradkot Hydro electric power Plant was shut down in the year 1971. 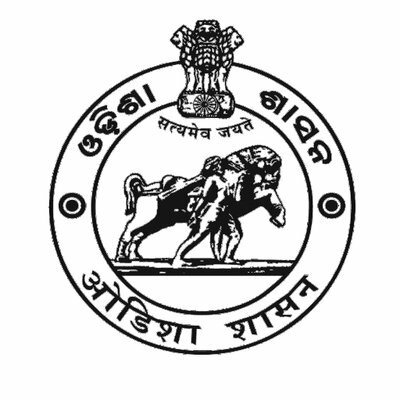 From Deogarh - 2 K.M.